The archive is the casket of our historic collective memory. The preservation, the use, the lack of resources, the necessary but slow digitalization are the starting point of our talk with Maria Guercio, President of A.N.A.I. – National Association of Italian Archives. “Those who don’t know history are doomed to repeat it” is the sentence by the philosopher George Santayana engraved in the entrance of a block at Auschwitz as warning to the visitors. This hard lesson of an undeniable reality clashes with the sporadic involvement people have of the memory places. For most of the people the archive seems to be a other place, tough, difficult to access and complex consultation, where the silence and the aura of manuscripts compel us to a respectful distance. For one week the initiative “Get inspired by Archives” opens the door to many Italian archives, involving everybody in a process of knowledge and appropriation of the memory. We did some questions to the Professor Maria Guercio, President of A.N.A.I. – National Association of Italian Archives. Alessandra Ghinato: How did the project “Get inspired by Archives” born and what are the porposes? Maria Guercio: The initiative came up as continuation of the one organized in 2011 “E non rimase più nessuno. Archivi e archivisti nella crisi italiana” with the aim of remembering to everyone, users, citizens, subjects who product and store archive heritage, the importance of the sources for everyday life of everybody. A.G.: The archive is the historical memory but also selection of memory. The archivist or the institution in charge decide what has to be kept or what must be forgotten. How the selection is made? Maria Guercio: The selection is one of the most important and difficult activity because every document is an unicum. The decision of destruction, inevitable due because of the amount of documentary production and necessary to evaluate what we decide to conserve, means a loss of original contents. For this reason a State archivist always participates in the process of selection for the archives of public administration. There are specific procedures of permission or approval curated by commissions of national surveillance. The final word on the destruction is of State archivists, also in the case of digitalization and creation of a digital copy in place of the hard copy, that could be destroyed only with evident agreement of the General Management of Archives. A.G.: In relation to the actual changes, which are the most urgent problems in the management of the archives? Maria Guercio: First of all, spaces of the warehouses in respect to the enormous proliferation of documentation. Then, the absence of human resources, the generational handover in public administration – now 80% of archivists is over 60 years old. But above all, the problem is the lack of infrastructures and resources for digital archives, from August 2016 mandatory as form of production of collective memory. We don’t have the resources, the competences. The General Management of Archives struggles to get authority inside MiBACT, that in the last years made a cut of many managers and unappropriated nominations. Having solution will be always more difficult if managers don’t have digital skills. A.G.: As President of A.N.A.I. – National Association of Italian Archives what’s your approach to the digitalization of the archives? What is the evolution of the figure of the archivist? Maria Guercio: As highlighted before, the passage to digital is inevitable and potentially a great opportunity, but we need expert professionals. The archive administration must have the authority and be able to establish strategic alliances. The archivist record-manager is already a changing figure: coordinator of processes and in the middle of the innovation of public administration. We need training at all levels, able to interpret with dynamism and intellect the documents and public information, guaranteeing reliability, care, persistence and authenticity. These principles drive our actions and are at the base of our education. A.G.: Do you think that papery could be completely substituted by digital? Which are risks and benefits? Maria Guercio: It is not only a belief: the legislator decided without foreseeing the conditions to make the complete passage, for example finding competent and aware managers. Risks are related to the waste of money without concrete results and we all already experienced it. We need operative guidelines and collaborative networks. The association, with Agid and the Universities, is moving in this way. Has created a group of work (Giad – Italian group of digital archives) that includes administrations, private and A.N.A.I. 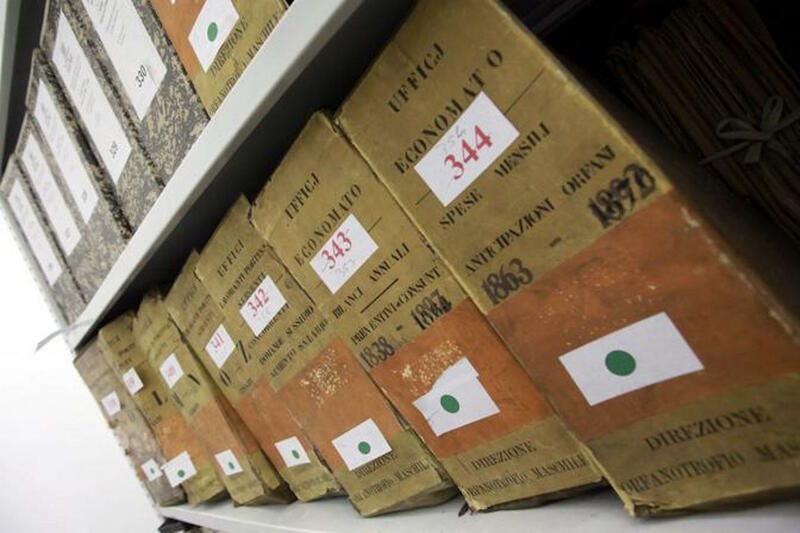 – National Association of Italian Archives members with the aim to promote the knowledge of this topic and make the operative tools to facilitate the passage to digital without damaging the production and the conservation of the sources. A.G.: How does the research methodology change in relation to the facility, real or supposed, of modern availability of information? Maria Guercio: The trouble of the research by online sources and tools is already open: we made progress in terms of theory and methods, but the documentation is still on paper. The institutions had few resources that often stop at simple experimentation, without real production of efficient informative archive systems. Important resources are arriving, thanks also to the project of the actual minister. We hope will support an intelligent action of coherent digitalization. In this phase of big impoverishment of institutions of memory, we need more prudence and capacity. The technicians are able to do appropriate choices. We hope politics let technicians do their work without interferences, without apparent objectives that aren’t significant in the medium and long period. A.G.: How to conciliate the divulgation of the heritage and its conservation need? Maria Guercio: It’s a problem the archivists always have to deal with and it was the central topic of the investment of latest years, also by focused interventions of digitalization. 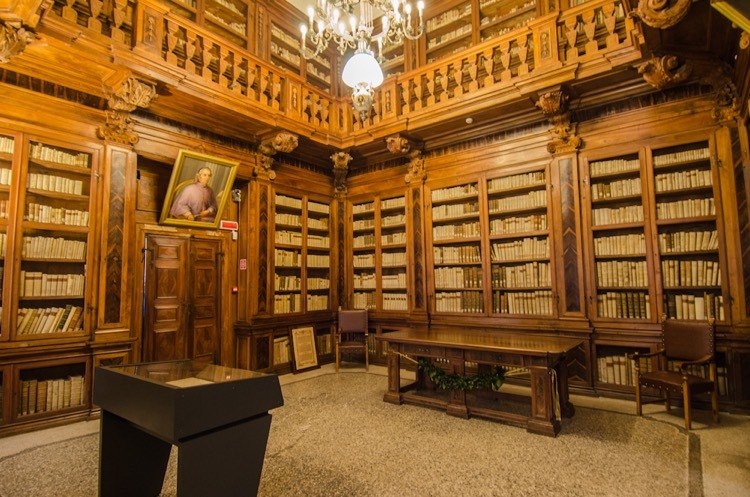 For example, in Florence the most ruined and consulted documents were digitalized. The archive heritage has hidden wealth that must be disclosed to the largest public. The bigger problem is to help the public, not only the historians, to understand the sources that need cultural mediation to be interpreted and enjoyed. That’s why we need strategic alliances with schools, teachers and producers of the sources. We need the administrations and politics be aware of the importance and in the same time the fragility of the documentary sources, that need specific and professional resources. We will never leave our dearest in the hands of unskilled doctors. The same should happen to our historical testimonies, tool of transparency and relevant document of everyday life.